LB loved transport (particularly London buses and Eddie Stobart). He was also an industrious artist, filling notebooks with intricate and distinctive drawings. Often the same picture on each page. Love him. For the past year, he attended a mechanics course at a place called Trax, absorbed in tinkering with an old engine alongside other young car enthusiasts. 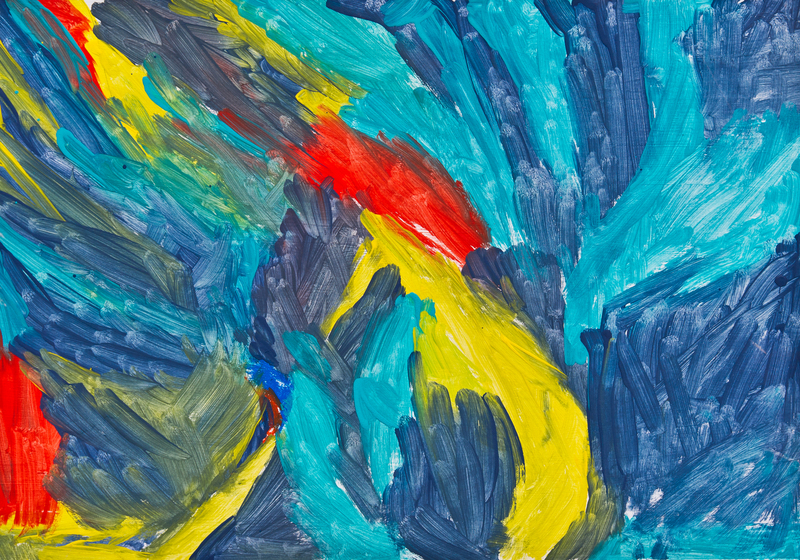 At Trax, he produced a remarkable painting which I’ve called ‘Colour’ on his behalf. He might have called it ‘Paint’, ‘Brush’ or anything really. But ‘Colour’ does what it says on the tin in true LB fashion. So to kick off our fundraising efforts; two goodies on offer. My mum, Val,is ready and waiting with a stack of envelopes/cards to process orders for postcards, greeting cards and prints. We will also be holding other fundraising events over the next months, including a suggested but yet to be organised sponsored walk along the number 15 bus route in London. A dedicated community bank account has been set up to administer the money/donations received. One of the signatories, Edward Parker F.C.C.A, is a partner in a Thames Valley based firm of accountants who will maintain the financial records of the firm. If you just want to make a donation, please crack on. 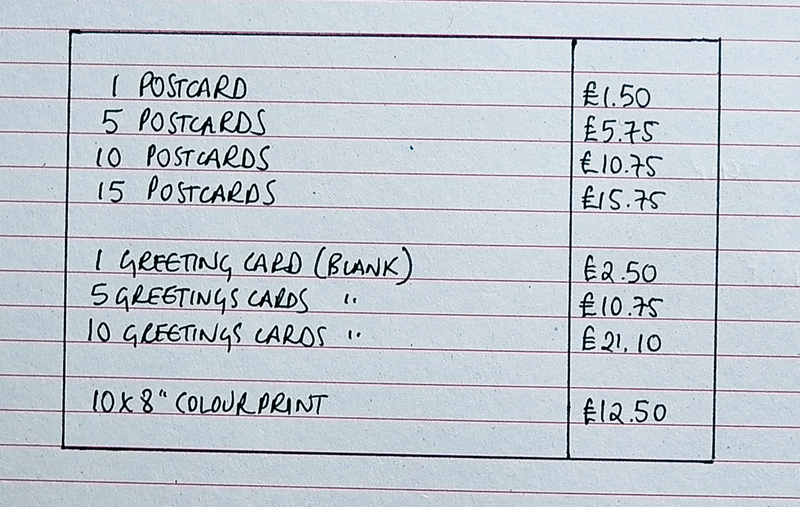 I hope your cards go viral, and you quickly raise the money required, I have ordered a pack of each cards, I hope to order more when my finances allow. Thank you Polly. I appreciate that. I have just read your blog about your wondeful, talented, handsome young man, and have shared of FB. I have a 3.4 year old son called Tom with a rare genetic condition. I try not to think too much about the future, beyond the next hurdle. Tom loves drawing and painting and all forms of emergency vehicle! I will be emailing for some pictures. Thankyou. Thank you Nancy. Tom sounds a dude! Order and payment sent today. I wonder whether you might print a postcard of ‘Brown Lines’? 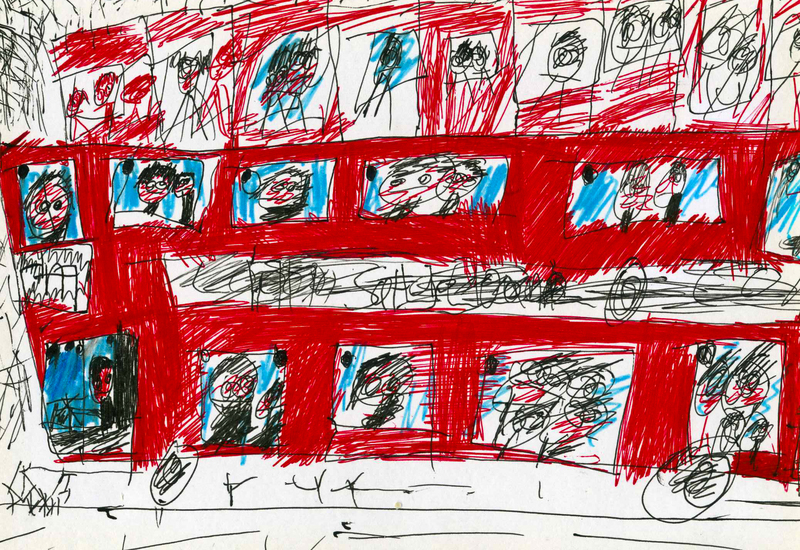 I am definitely going to order something from the bus picture, my autistic son loves London buses and it’s just a case of waiting for pay day. The no 15 route is the one that I took him on the last time we were visiting London – by good luck it was a Routemaster bus with the nicest conductor ever. I will email your mum to order,pronto. Sara, perhaps you could encourage people to send as Christmas cards? My order on its’ way. sending a donation via bank transfer tomorrow, we hope sufficient funds have been gathered for LBs justice fight, praying for accountability.No order to match ( purely because we are on the move) the artwork is all superb and much admired. Many thanks.